San Diego County residents and other Californians came out in support of two propositions that will fund affordable housing for people in need and people who have mental health issues. With 100 percent of the precincts reporting following Tuesday’s election, Proposition 1 passed with 54 percent of the votes statewide and 51 percent in San Diego County. The proposition authorizes $4 billion in general obligation bonds for existing affordable housing programs. Proposition 2 passed with 61 percent statewide and 60 percent in San Diego County. 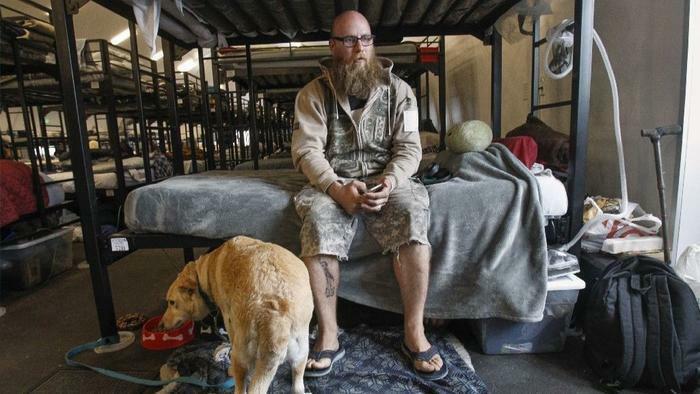 The proposition authorizes about $2 billion in bonds to fund housing programs for people with mental illness and is expected to build 20,000 permanent supportive housing units under a state program called No Place Like Home. “Everything is kind of coming together nicely,” said John Seymour, vice president of acquisitions and forward planning for National Community Renaissance, a Rancho Cucamonga-based nonprofit specializing in affordable housing for families, seniors, special-needs residents and the workforce. The new funding is just one of a few new positive developments Seymour saw for affordable housing. State Assembly Bill 2162, which takes effect in January, will streamline the approval process for affordable units, possibly cutting six months or a full year off construction times, Seymour said. He predicted that money from Proposition 2 could help fund the construction of 3,000 housing units in San Diego County. He also expected the development process to be smoother than it had been because builders will work with the county rather than Sacramento. National Community Renaissance projects include Vista del Puente in Seacrest, scheduled to open next month with 38 units for homeless veterans, an Encanto project under construction with eight units for veterans, a 95-unit Nestor project for chronically homeless people and a 50-unit project for formerly homeless seniors scheduled to break ground next week in San Ysidro. Charles Schmid, chief operating officer of affordable-housing developer Chelsea Investment Corporation, also was optimistic that the proposition would spark more housing for people with mental challenges experiencing homelessness. Stephen Russell, executive director of the San Diego Housing Federation, said San Diego County could receive $125 million from Propsition 2 over four years, beginning with $40 million that will be available soon for developers. The money will come from a 2004 initiative that placed a 1 percent tax on income above $1 million to fund mental health services. While supporters of Proposition 2 included the National Alliance on Mental Illness, the Contra Costa County chapter of the organization opposed it. Gigi Crowder of the Contra Costa County chapter said her group opposed the proposition because it would divert money for services to fund housing, which she saw as a recipe for disaster. “We made housing our number-one priority in Contra Costa, but we didn’t think it would be at the expense of treatment,” she said. Russell said it is true that some money for services will be diverted for housing, but he stressed that the housing projects would be connected to supportive services. The San Diego Housing Authority had supported the propositions and hosted a September Proposition 1 rally attended by state Senate President Pro Tem Toni Atkins, D-San Diego, and a coalition from business, labor, the health industry and nonprofits. “In some ways, it’s terribly exciting because we have money,” Russell said Wednesday morning. The excitement over Proposition 1 was tempered, however, because of uncertainty about how much funding San Diego may receive. The proposition provides $4 billion to house veterans, low-income residents and other groups, but San Diego will have to compete with other cities for allocations based on matching local funds, he said. Los Angeles and San Francisco are likely to get more money than San Diego because those cities have more revenue available, he said. Russell said he was encouraged by changes coming to the San Diego City Council and county Board of Supervisors following the election, but he also saw a need for a new source of revenue to bring in more from the state. The Housing Authority had floated the idea of a $900 million bond earlier this year, and that measure is even more enticing if it could lead to a greater share of Proposition 1 money, he said.